Before hitting the gym, you check the workout of the day and it’s a good one. You’re excited to get after it. You think, “Hey, maybe I can do this one Rx,” but is that thinking making you stray away from the main purpose of training? This post is a good reminder of how we need to train and is based on an original article by Trainer, Steve Shaw. Sometimes athletes seem to be straying away from the intended purpose of training for GPP (General Physical Preparedness). This is done by adding volume and absconding from intensity, which is a recipe for failure with any athlete. 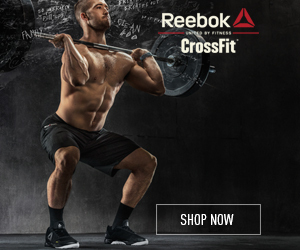 CrossFit by definition includes constant variance, functional fitness and intensity. It does not include volume. The recipe for success is having fun, seeing results and getting fitter. The ingredients for that are mechanics, consistency, and intensity. Those MUST come in order or people will get hurt. It’s dangerous when athletes or gyms develop a culture of ‘Rx chasers’ who are sacrificing mechanics and load (volume) in order to show up as Rx on the whiteboard. The bi-product of that is that they are moving away from intensity, which is absolutely the foundation of becoming better. “Be impressed by intensity, not volume,” Glassman is quoted as saying as early as 2002. World-Class Fitness in 100 Words mimics that…“Keep workouts short and intense”. 1. “Rx” means as prescribed. That means that if you do what is written, exactly what is written, with good mechanics, full range of motion, and the load, distance, reps and time domains as to what is detailed, you have completed the workout Rx. ANY deviation from that, means that you haven’t. The WODS are intended to elicit a certain physical response in terms of intensity. Increasing loads, heights, distances changes that intended purpose. The thought pattern amongst the best programmers is that if you are willing to change a WOD as written to lower intensity and increase volume by adding weight, distance, reps etc… then you are willing to change the WOD as written to increase intensity and decreasing volume by skimming weight, reps, distance etc. Should an athlete that does that still be able to hit “Rx”? Rx means what is written. Exactly by load, percentage, in order etc. Don’t get me wrong, if you want to challenge yourself by increasing these things, that is your choice if you can manage it, but if you are losing the desired effect of intensity, what is the goal of doing so? Ask yourself if their mechanics are perfect enough for a Games judge to handle the additional loads or heights? If the conclusion is “Yes” and you achieve the desired effect and that’s your goal, then go for it, but don’t hit Rx. 2. Often “fast times” are recorded by athletes that do not have the range of motion or the mechanics to reflect their numbers and times. If you can’t yet reach the bottom of a squat or are not hitting depth on your wallballs, are you working on mobility to open up? Are you do ‘homework’ for mobility and stretching? Maybe try timed Sumo squats in warmups. If you can’t yet hit the bottom of a thruster, don’t load more weights. Instead, work on the mechanics first. Be sure you are moving well with little weights before you are moving poorly with big weights. 3. Coaches are more impressed with mechanics and intensity than they are of volume. In classes, you notice reward for good movement patterns as opposed to heavy volume. …so remember, focus on the right mechanics, be impressed by intensity not volume and have fun while seeing results and getting fit!